Hasbro’s Steven J. Davis announced during a Q&A that Transformers 5, 6, 7, and 8 are in the works, via EW. Now we can’t be sure if Bay is actually coming back. Just a couple of weeks back, Bay was contemplating whether or not to return to helm Transformers 5. But Davis seems to tell us that Bay will be back in some sort of capacity, be it directing or producing. Just in case you forgot, The Walking Dead creator Robert Kirkman, Iron Man scribes Art Marcum and Matt Holloway, Pacific Rim 2 writer Zak Penn, The Amazing Spider-Man 2 and Lost‘s Jeff Pinkner, Ant-Man co-writers Andrew Barrer and Gabriel Ferrari, Lindsey Beer (The Fugitive remake), Christina Hodson (the re-imagining of Wizard of Oz), former Daredevil showrunner Steven DeKnight, Ken Nolan (Black Hawk Down), and Geneva Robertson-Dworet (Black List script Hibernation) are all members of the Transformers shared universe writing team. Now Davis said that he worked with nine writers this past summer, and the original team was comprised of 12 writers. So maybe he misspoke or maybe it didn’t work out for three of them. As for spinoffs, well other than the animated Cybertron spinoff, word is that a spinoff centering on fan-favorite Bumblebee is in the works, while another one may be based on Beast Wars. 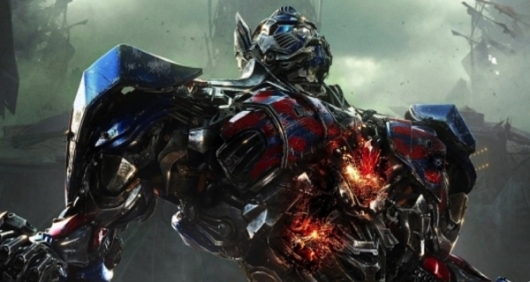 Don’t expect to see Transformers crossover with G.I. Joe any time soon as producer Lorenzo DiBonaventura has confirmed that it will not happen. It’s not clear what the untitled Transformers 5 will be about, but Mark Walhberg is expected to return to star. The film is scheduled for a summer 2017 release.